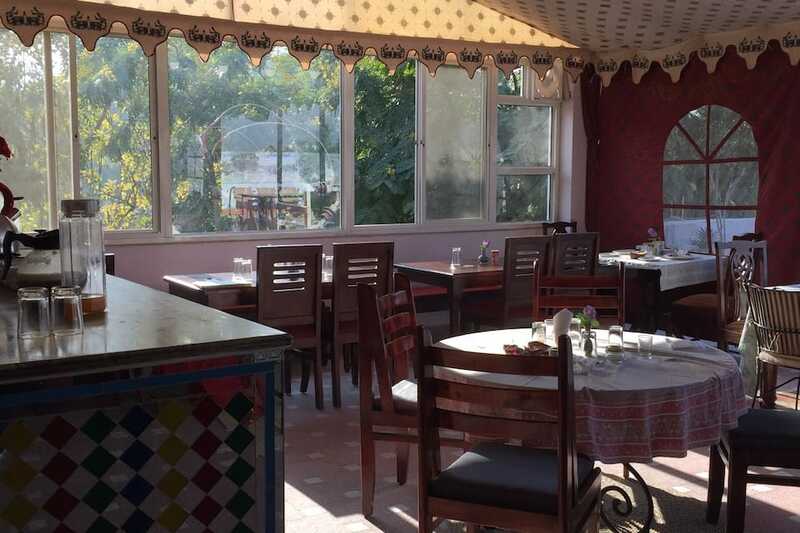 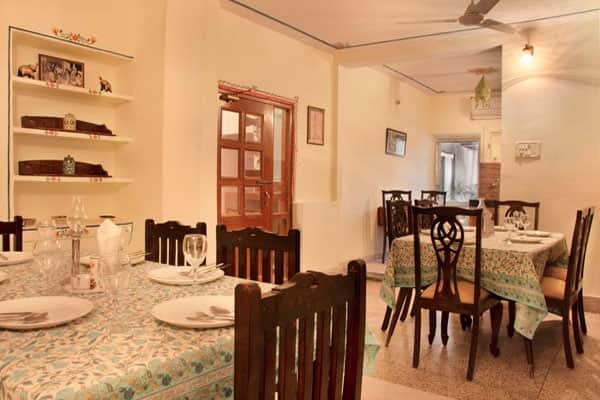 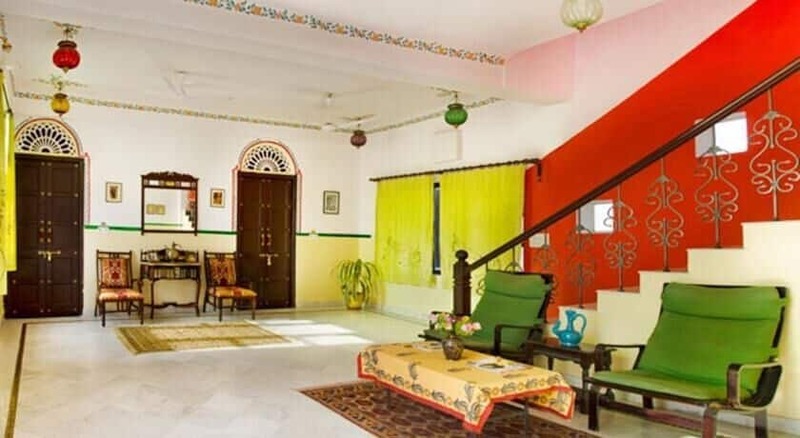 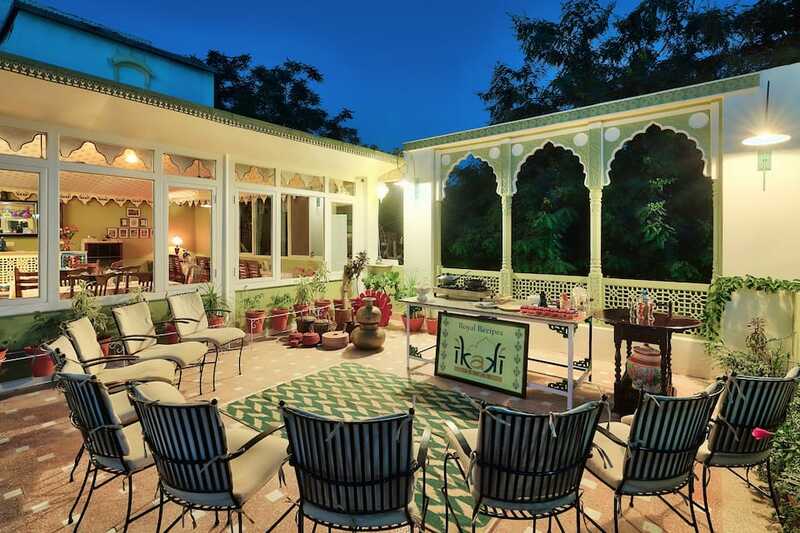 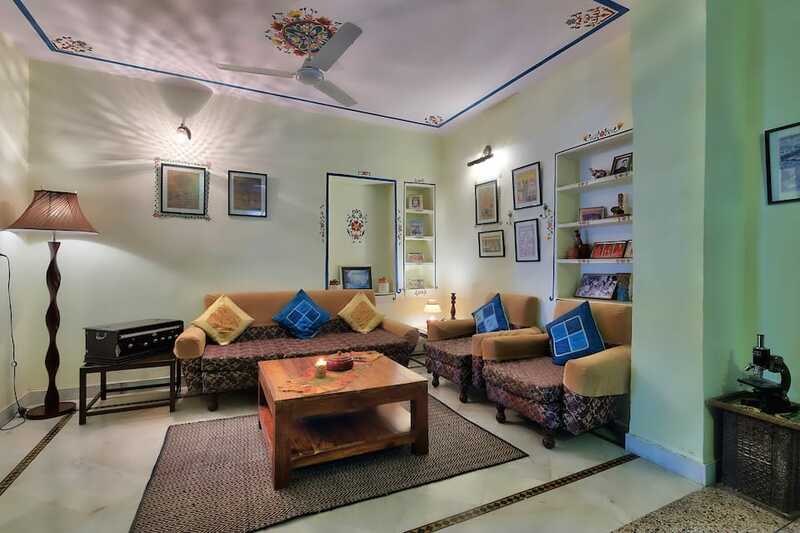 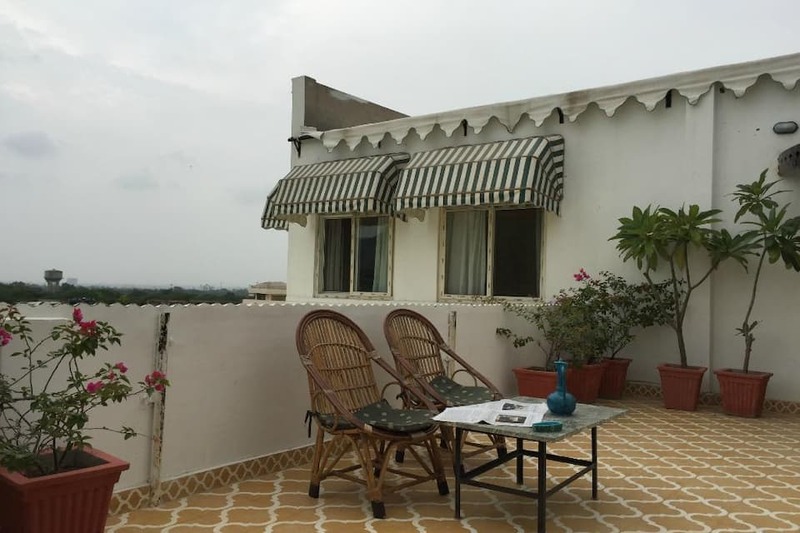 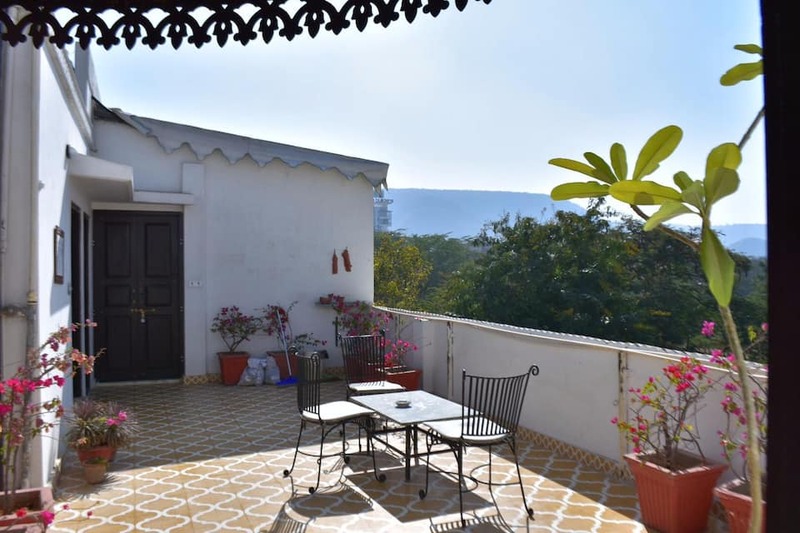 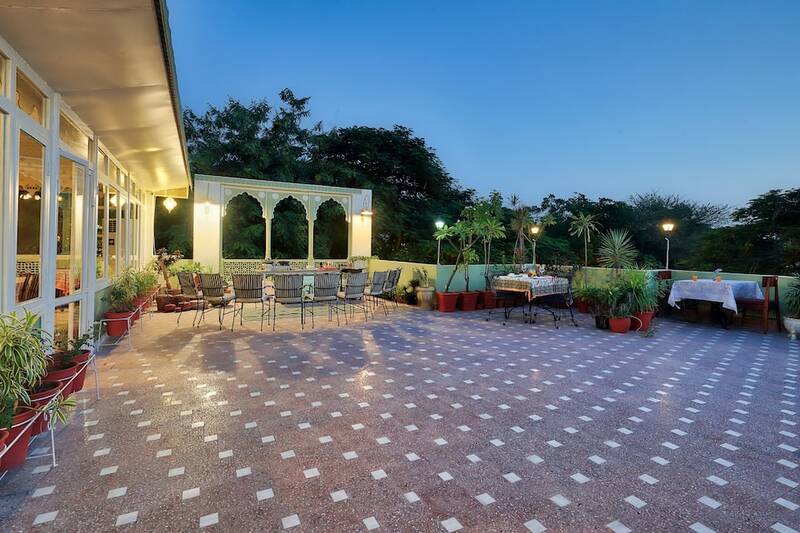 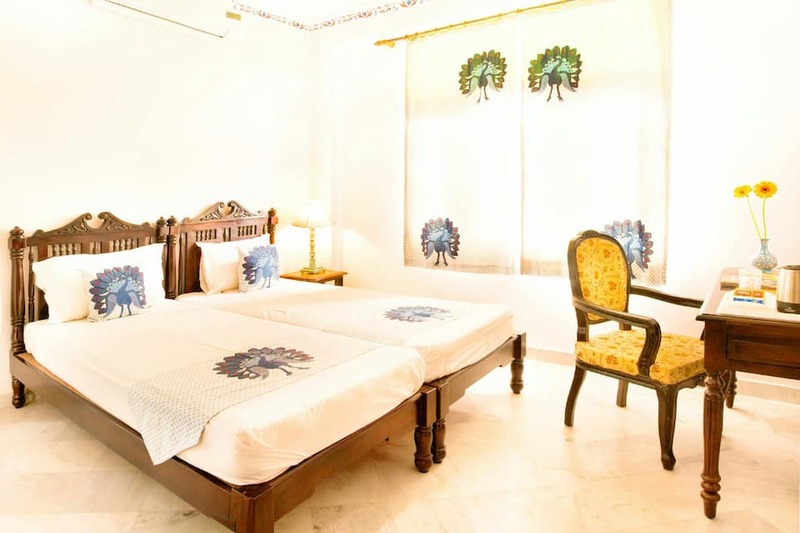 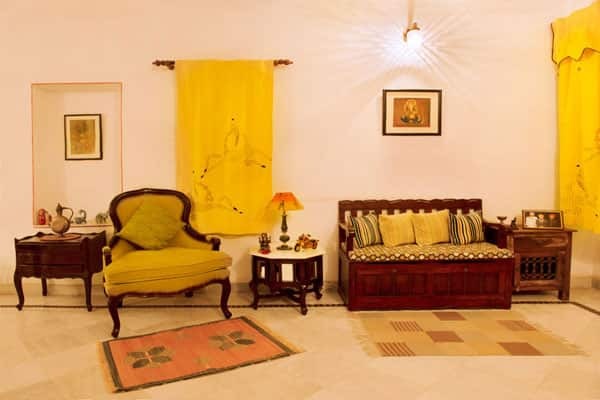 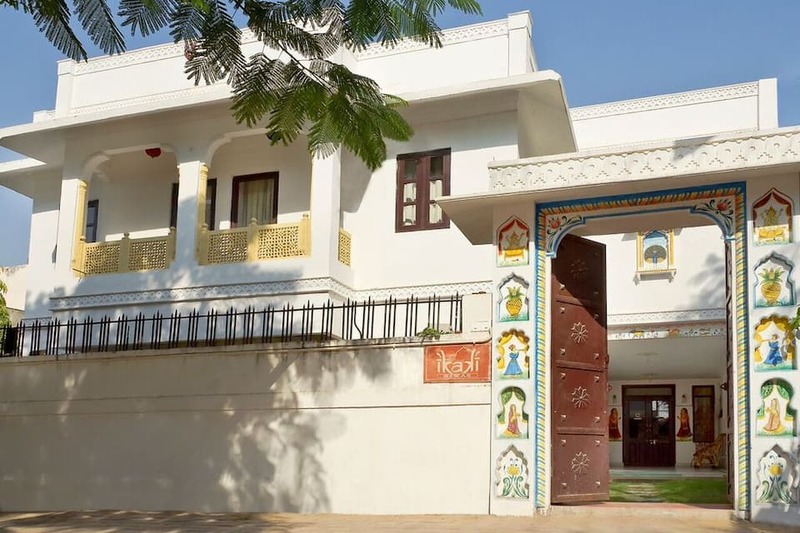 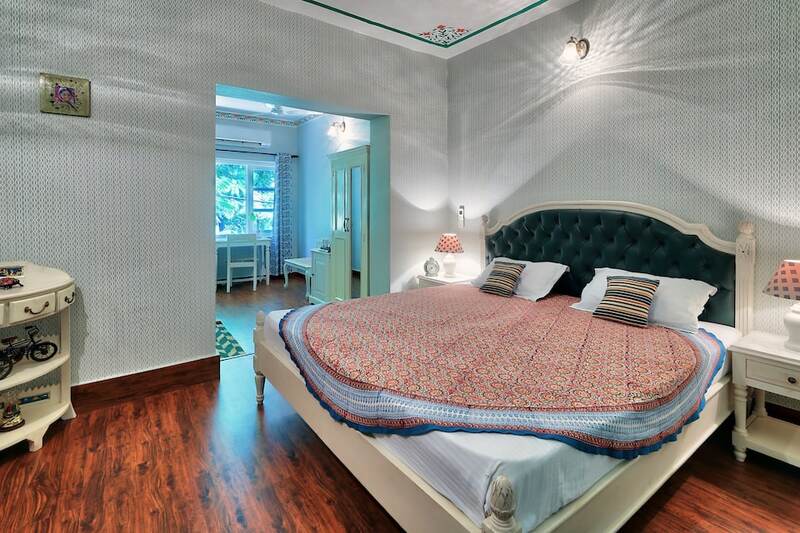 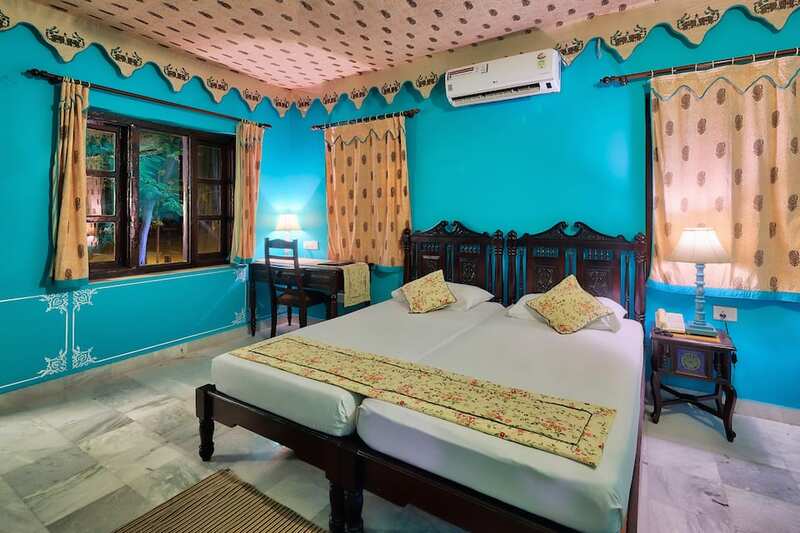 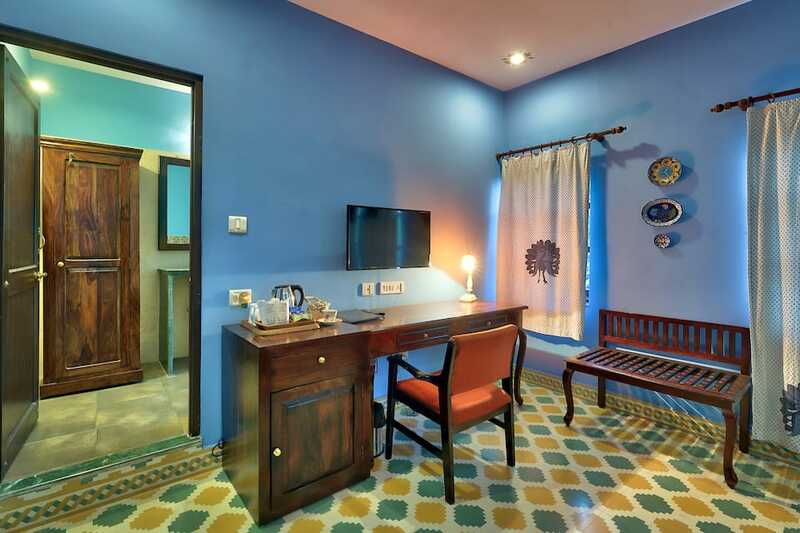 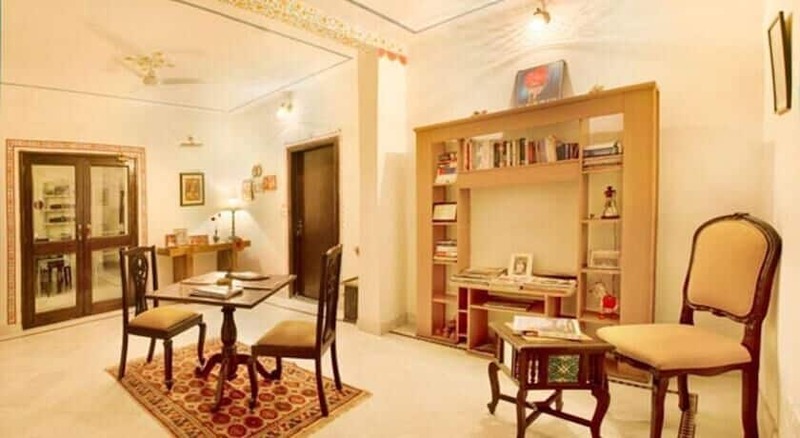 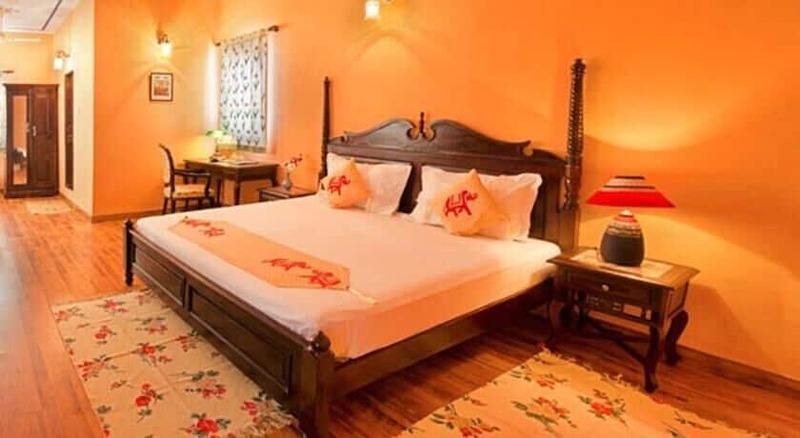 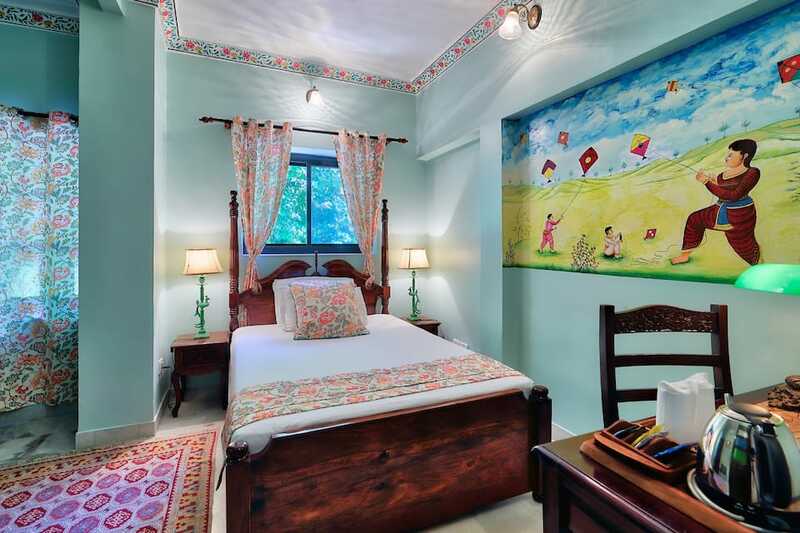 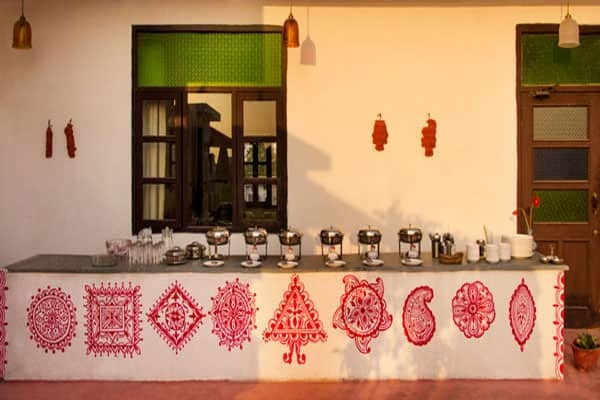 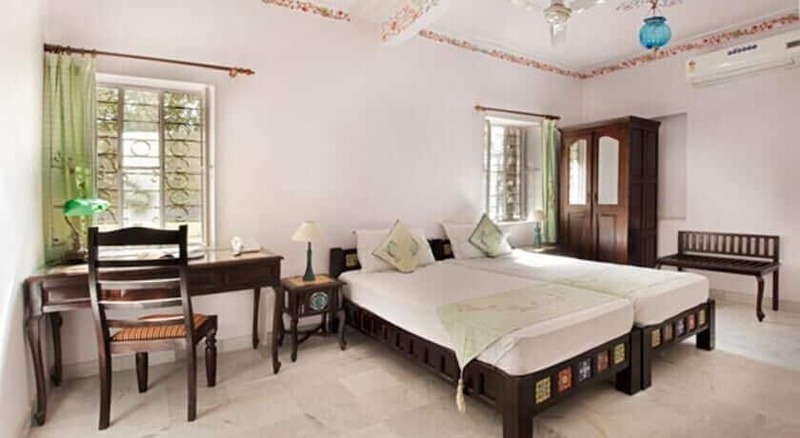 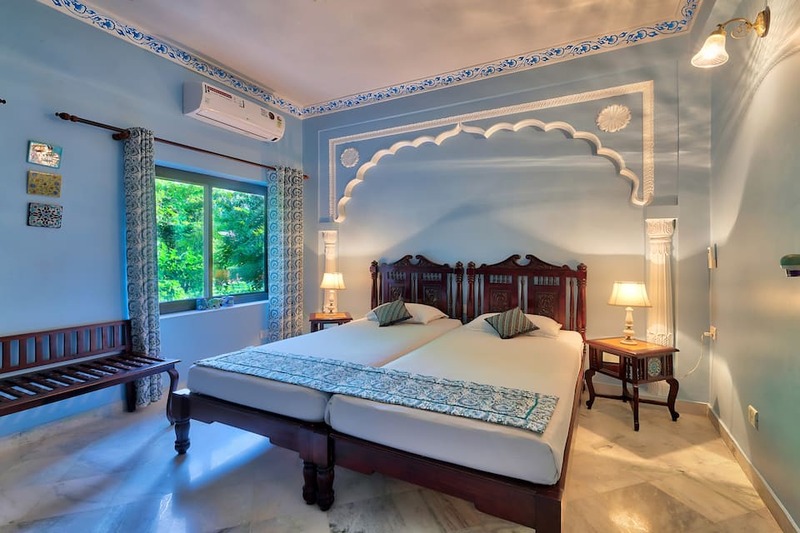 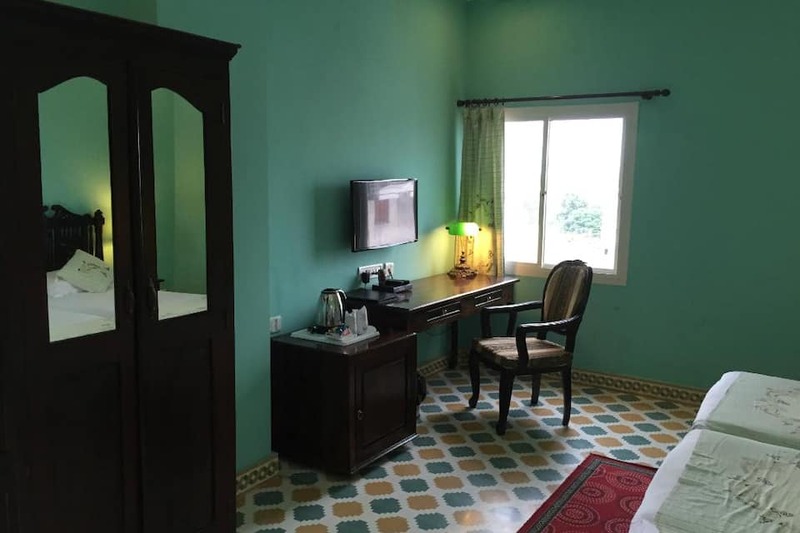 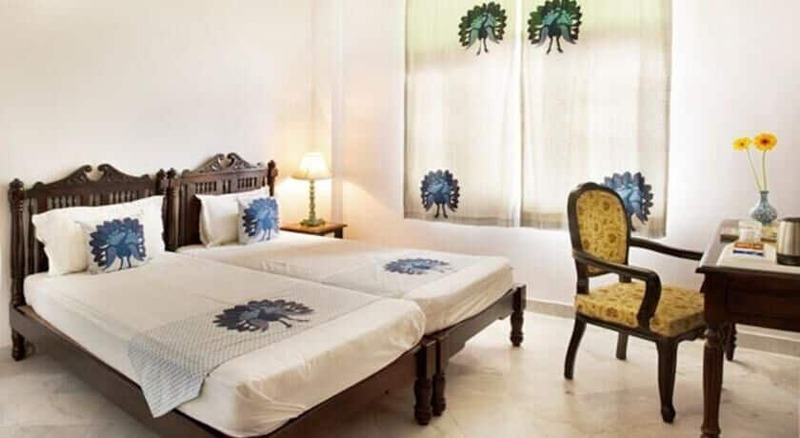 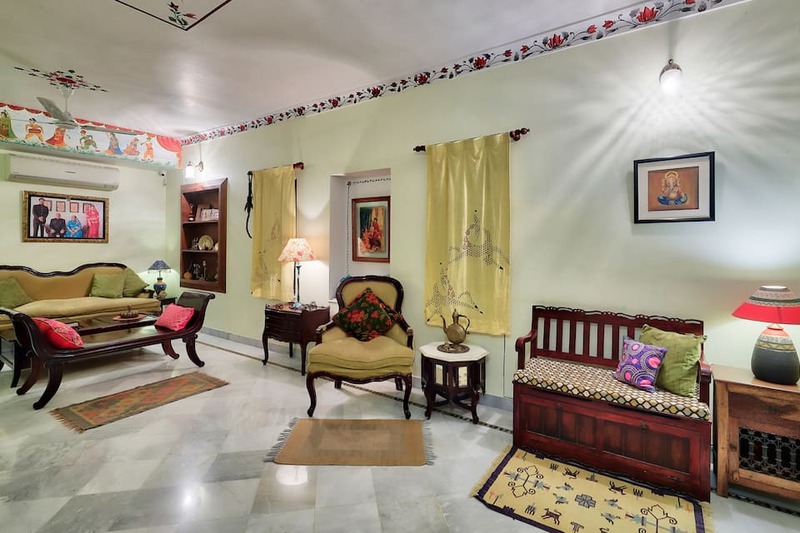 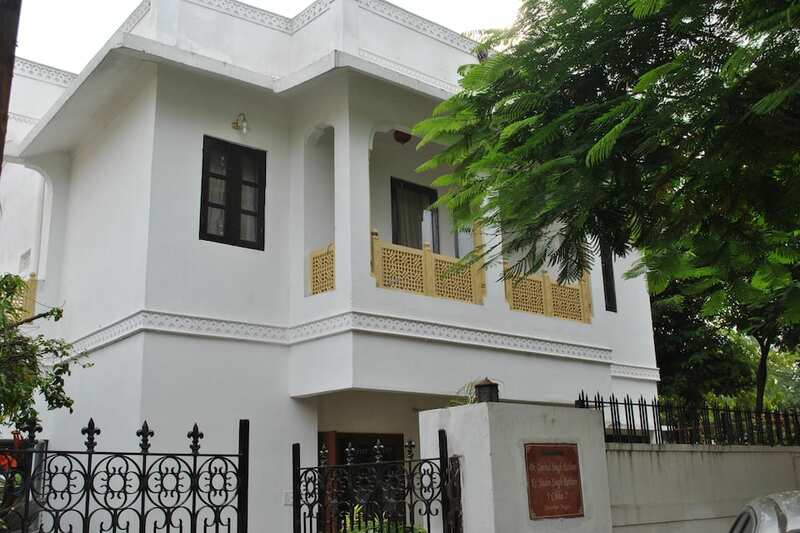 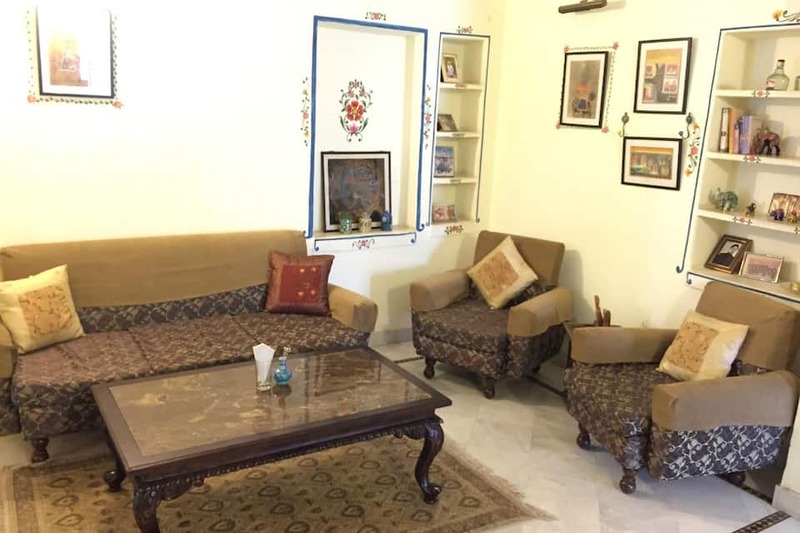 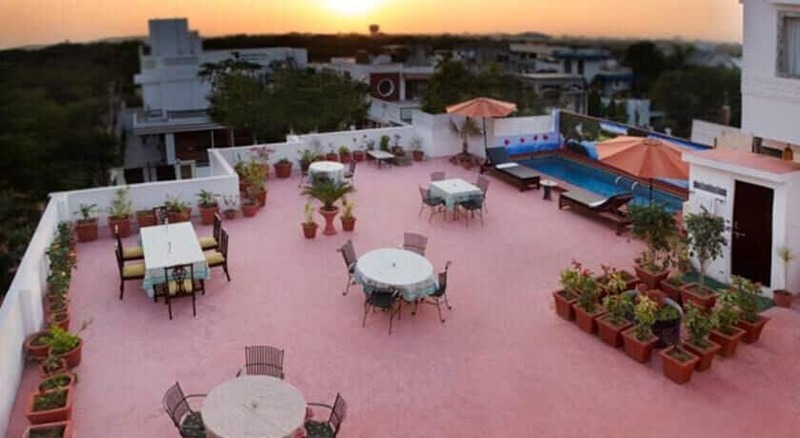 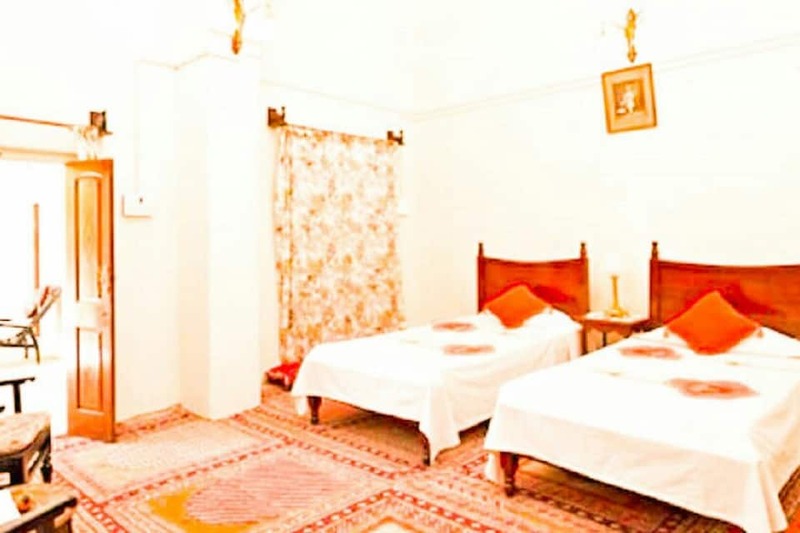 Ikaki Niwas is one of the luxury heritage properties situated in Jaipur that offers free internet access and round the clock front desk assistance to its guests. 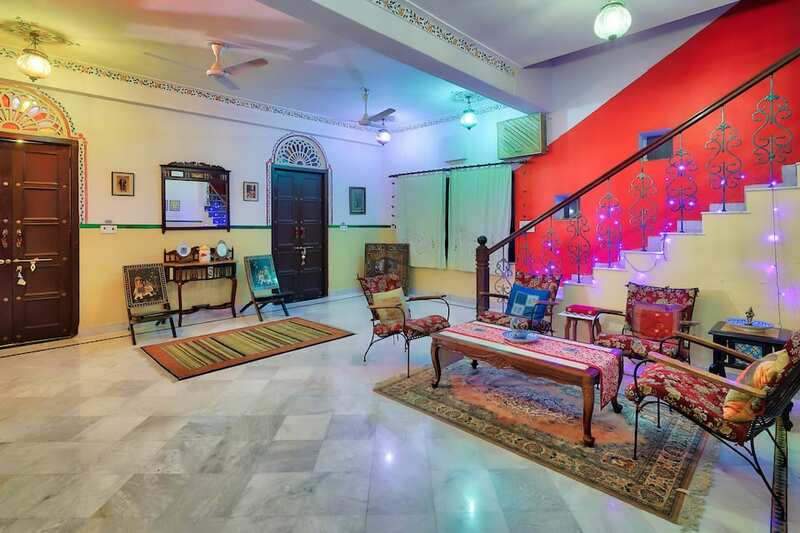 Jaipur International Airport is located at a distance of 10 km and the famous Hawa Mahal is 6 km away from this property. 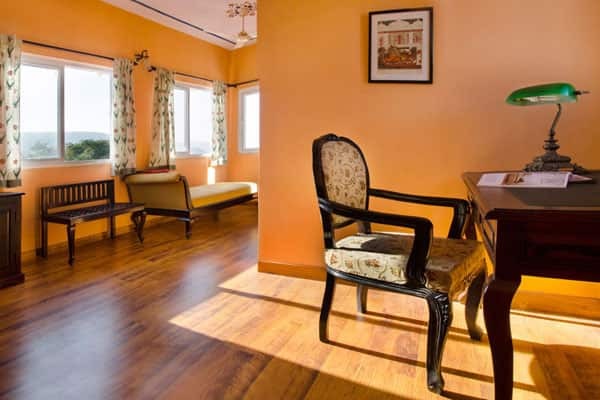 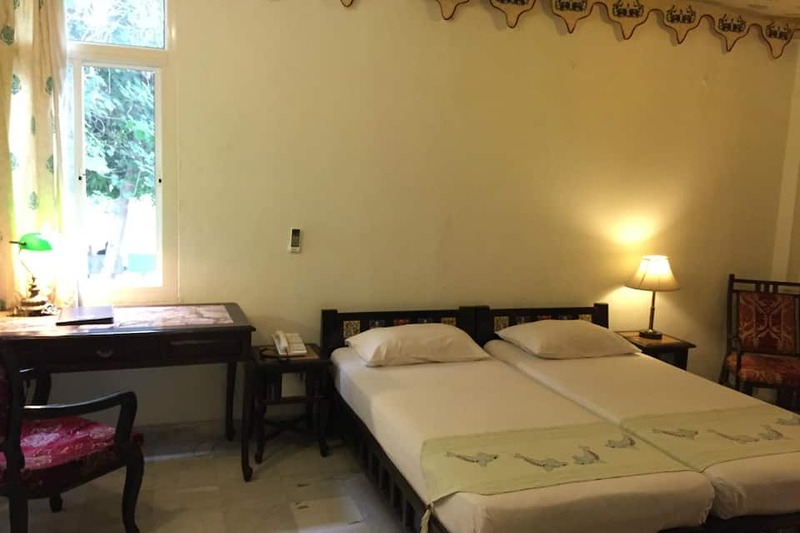 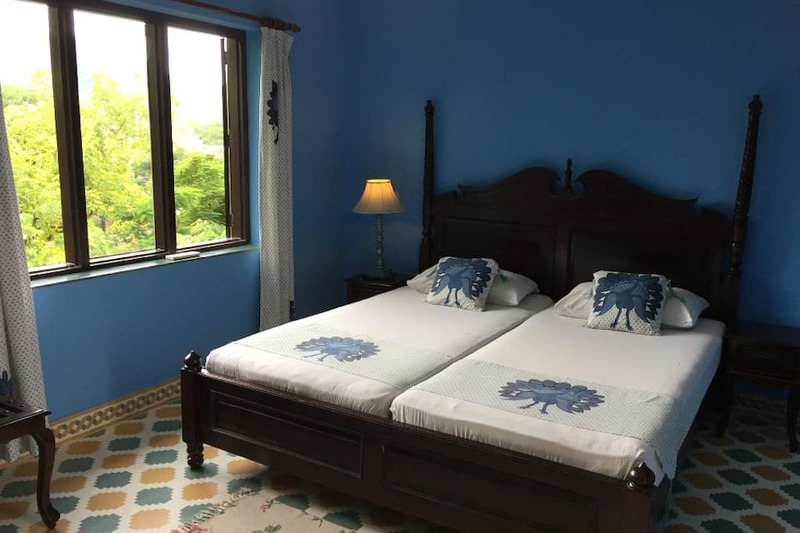 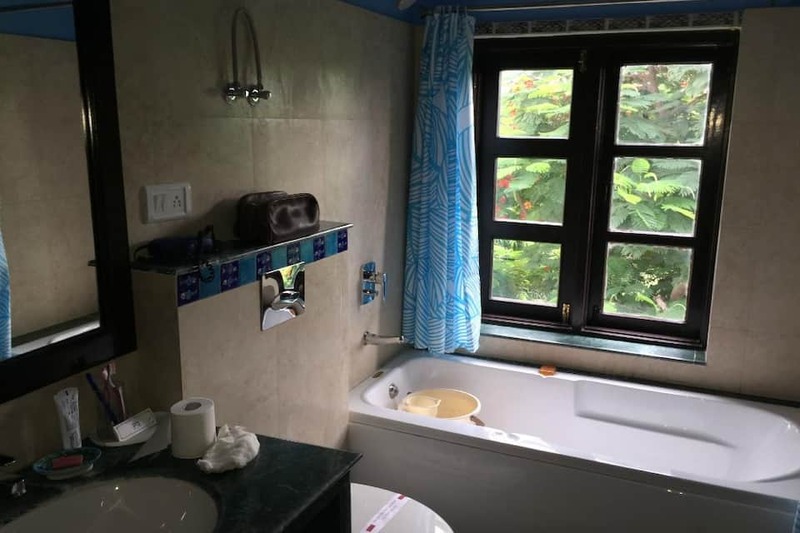 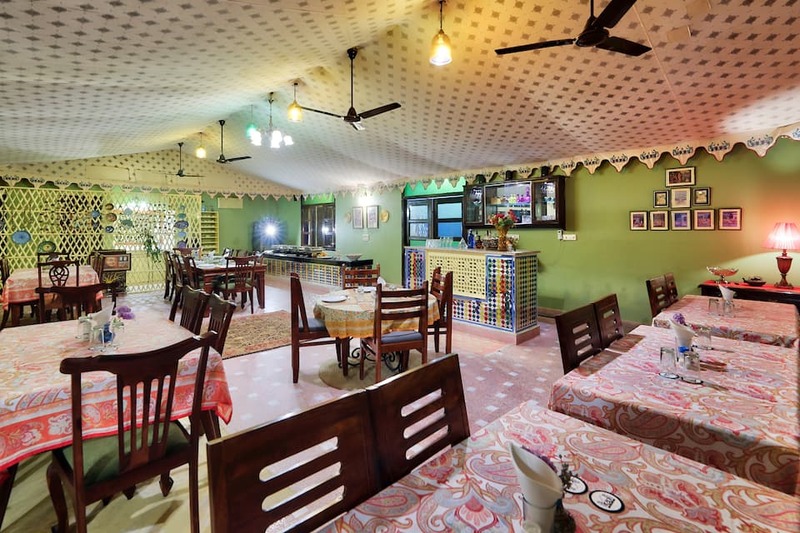 Ikaki Niwas accommodates 14 well-furnished mountain view air-conditioned rooms with amenities like television, coffee table, wardrobe, tea/coffee maker, sofa, desk with chair, lamp, bottled drinking water and an attached bathroom with hot/cold running water facility.